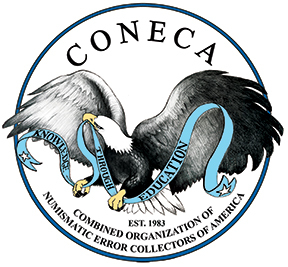 Each year, error-variety collectors from across the nation (and other countries) gather together in convention to enjoy the best time that the hobby can provide. The name of the gathering that draws them is ERRORAMA. Historically, ERRORAMA was a private venture that presented something of a hit or miss situation. California hosted most of these private shows and some of them were truly landmark occasions that were well attended and well thought out. Folks long involved in the hobby remember the Rhode Island event and the Thousand Oaks, California event as best representatives of the class. With the merger of CONE and NECA, the leadership formulated a plan to have the club (1) sponsor ERRORAMA and (2) make it a travelling show in order that more folks might attend. ERRORAMA is marked by a feeling of fellowship that sets it apart from many convention. In addition to the standard show fare of exhibits, bourse, banquet and educational forums, the hospitality committee works very hard to insure that there are no outsiders by welcoming all, old friends and new, in the best spirit of a festive holiday. Indeed, the convention does not close from the evening before opening day until departure after the close. It is doubtful whether anyone really gets a good nights sleep at this show! 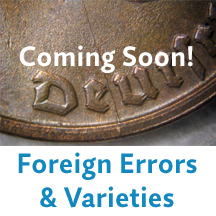 Each ERRORAMA seems to hold a special surprise, a fact not missed by the numismatic press. Often times, the biggest find of the year debuts here. Sometimes the surprise comes from a benevolent patron of the hobby when a gift of unusual proportions is announced. There is an unmistakable air of excitement in the wind when ERRORAMA comes to town. In summary, no one should miss a chance of attending the annual ERRORAMA. In so much as each individual is unique, each ERRORAMA is uniquely represented by its participants. Come share your questions and your knowledge with us! 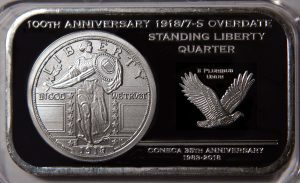 Come show your prize errors and varieties and let us be proud with you. Come see old friends and meet new ones. Come share the good times. You will never be sorry that you did!